The institute reported that the findings were discovered during the recent excavations of the Popoloca ruins in Puebla state. 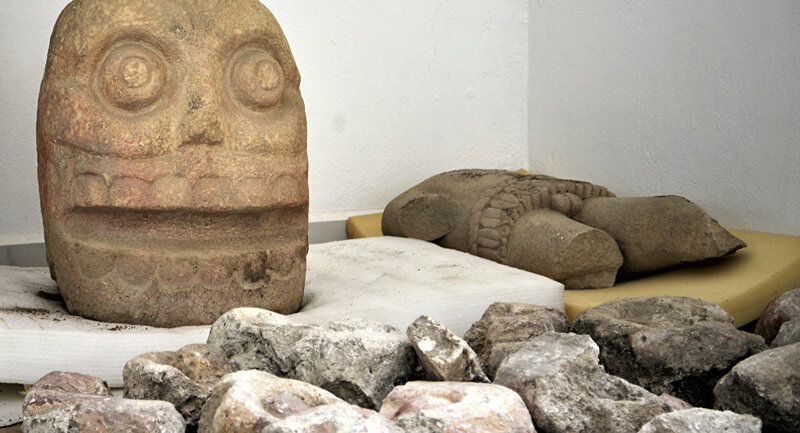 Two stone carvings resembling skulls and another stone trunk depicting the god Xipe Totec, one of the most important gods of the pre-Hispanic era, were found by the archaeologists. The skull-like stones are around 70 centimetres in height and weigh about 200 kilograms, the researchers said. Archaeologists believe that priests worshipped Xipe Totec by skinning victims and then wearing their flesh. The victims whose skin was used were thought to have been captured warriors who were tied down and given simple weapons to defend themselves before being attacked, wounded and sacrificed.